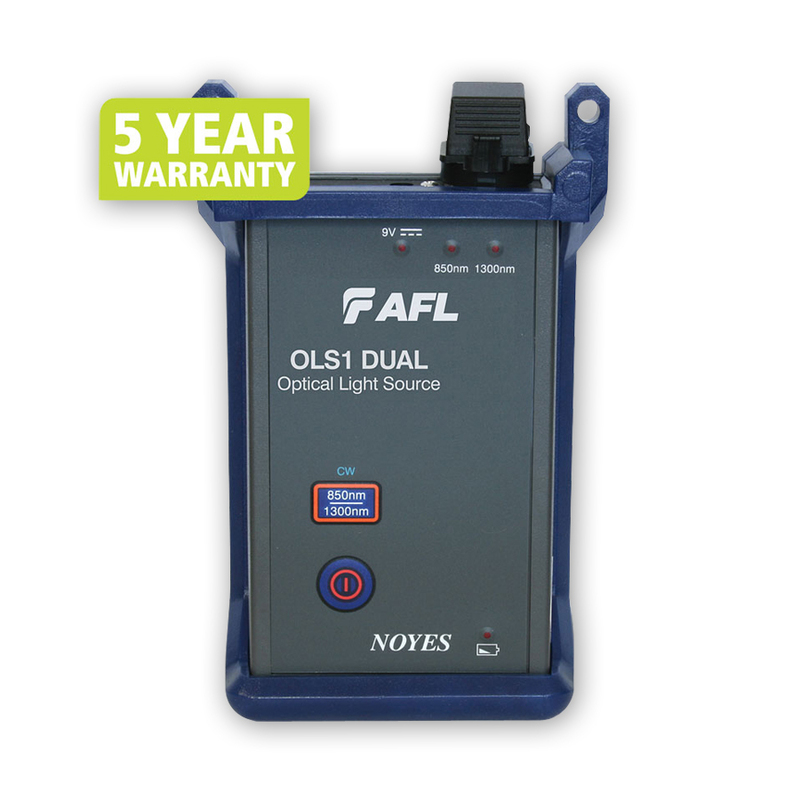 NOYES OLS1-Dual is a hand-held, rugged LED light source designed for performing insertion loss measurements on multimode fiber optic links when used with an optical power meter. The LED output is stabilized to ensure accurate test results per current TIA/EIA requirements. Multimode Output Port; emits 850/1300 nm LED output at CW, WaveID, or dual wavelength WaveID. Faster Test Times with WaveID – In WaveID mode, the NOYES OLS4 encodes each wavelength with a unique WaveID code. When used with a NOYES power meter, the pair can send and receive two wavelengths each test – doubling testing efficiency – reducing test time! The OLS1-Dual output ports are equipped with UCI based removable adapters to allow the output connectors to be inspected and cleaned, while allowing field change of output style between FC, SC, ST, & LC connector adapters. International standards bodies established Encircled Flux (EF) guidelines (TIA-568-14-B and IEC 61280-1-4) to improve measurement repeatability by reducing loss measurement variation to within a target range of ± 10%.